Kenneth Davis Elementary School opened on Monday, August 13, 2001. The school, located at 900 Eden Road in Arlington, Texas, was built with a capacity of 800 students. The school was named after former MISD Administrator, Kenneth Davis. Mr. Davis began his career in education as an elementary school teacher in the Fort Worth Independent School District. He moved to Mansfield ISD in 1972 to serve as principal of Tarver Rendon Elementary School. During his six years as head of that campus, Mr. Davis became known throughout the District as a man of strong values and integrity. In 1978, Kenneth Davis was promoted to an assistant superintendent. 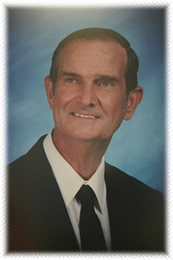 He supervised numerous areas including maintenance, transportation and textbooks. Later Mr. Davis became the District's Associate Superintendent of Personnel. He remained in that position until 1991 when he served as Interim Superintendent for one year before his retirement. Today, the direction and accomplishments of Kenneth Davis can be seen and felt throughout MISD. Strong educators, hired and mentored by Mr. Davis, have been instrumental in building the District's outstanding reputation for the pursuit of excellence. In the truest sense of the expression, Kenneth Davis is a gentleman of great character. It is indeed an honor for the Mansfield ISD to recognize his contribution to education with the dedication of Kenneth Davis Elementary School.